NUS Literary Society will be holding our Annual General Meeting on August 30th (Thur) at 6pm, at AS5 Room 0309. The AGM is open to any NUS undergraduate who is keen to be a member of the Literary Society. Attendance of the AGM is required as part of being a member of the Society. We will be holding our election for the next executive management committee. All members (even new members) will be entitled to voting rights and to run for the following positions. We have implemented a new structure to the Literary Society, placing greater emphasis on campus social events. And we extend a warm invitation to anyone who is keen to be part of a vibrant NUS Literary community. 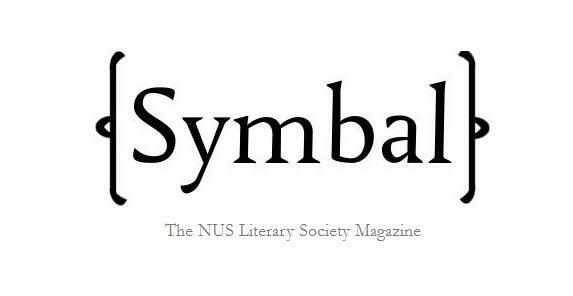 NUS Literary Society would like to call for submissions for the third issue of Symbal – our online creative writing publication – which will be launched at the end of September. 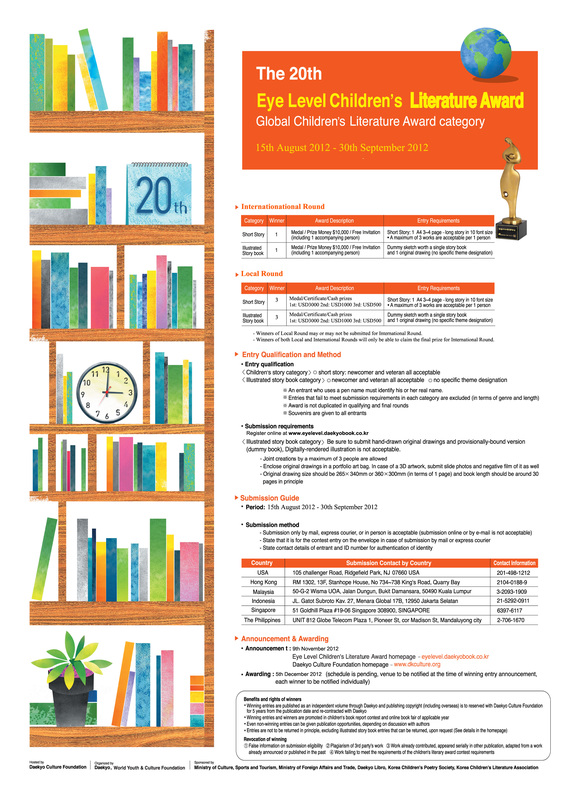 We are open to prose, poetry, dramatic extracts, articles and treatises from both undergraduate and graduate students studying in Singapore, tertiary students (JC/Poly/IB Year 5 onwards) as well as NSFs. The theme for this issue will be ‘Southeast Asia’. Writers are free to contemplate anything from the Petronas Towers to the romanticised exoticism of the Orient; from today’s chilli crab, palm oil, and modern skylines to sundry Victorians who found themselves here despite thinking the climate most insalubrious. Kindly send all your works to symbalmagazine@gmail.com and put “Submissions: <title of work>” in the subject field. The closing date for entries will be 16 September. Kindly refer to http://symbal.zxq.net/?page_id=16 for Symbal’s guidelines for submission. The Literary Society wishes you a fruitful and inspirational semester! 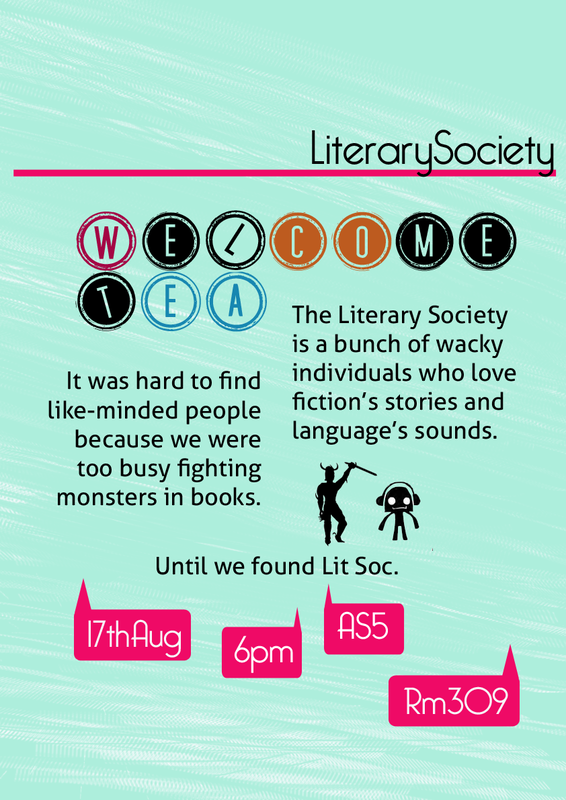 NUS Literary Society is having a Welcome Tea for freshmen and undergraduates with an interest in all things literary! It’ll be at 6pm on 17 August 2012 in AS5/0309. Do come down for this evening and get to know more awesome people! (like us) You can also find out more about the activities we’ll be having this semester too. Join us as we make the literary experience social!